G-EFAM was built in 1999 and has 2700 hours on the airframe. The 6-cylinder Lycoming IO-540 engine is fuel injected with a JPI EDM engine monitoring unit. The factory zero-timed engine has low hours, as has the 3-bladed McCauley propeller. The avionics stack comprises mainly Bendix-King units: audio panel (GMA 340), dual 8.33kHz nav/comm units (KX165A), GPS (KLN94), ADF (KR87), transponder (KT76C), autopilot (KAP140), and DME (KN62A). 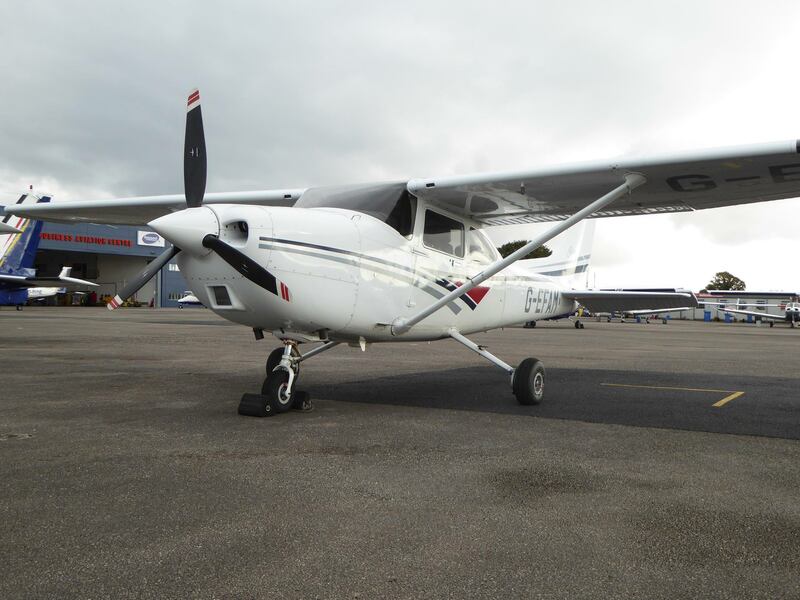 The C182 is a formidable load carrier (four people and baggage for several hours at 135 kts) and also a very good short-field operator (400 metres is enough under normal conditions). G-EFAM has been taken as far afield as Malaga (14,000 ft over the Pyrenees) and the north of Norway. G-EFAM is based at Liverpool Airport, with 24/7 availability, and convenient exit and entry routes in all directions.